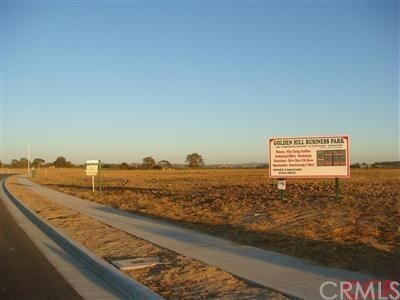 Located in a prime area, this business park is priced competitively and is in the path of growth! Newly expanded parcels are now released in this commercial/industrial development located just off the intersection of Highway 46 and Highway 101! The home of local well known wine processing facilities including San Antonio Winery and JUSTIN winery in addition to a international high tech software company, and other businesses. Zoning ranges from Planned Industrial Development to C-3 Commercial offering many usage options including winery, restaurant, manufacturing, industrial, fast food, grocery, and more! Remaining parcels vary in size from 1.57+/- acres to 2.75 +/- acres. Many options await you! Adjacent businesses include Lowe's, Bed Bath & Beyond, gas stations, RV resort park, and auto dealerships. A quality development to make your next location!